But Halevy could never see a live performance of Wagner at home. In 1938, the pre-state Eretz Yisrael Symphony Orchestra imposed an unofficial ban on playing Wagner in public. While there is no law barring Wagner’s music, his work is almost never played by the Israel Philharmonic Orchestra, or on public TV or radio. Now, Halevy is part of a growing group of Israelis pushing to end the ban. They say it is possible to enjoy the music despite the man, and want to be a part of a global following more than a century old. Their protest comes as the Wagner family grapples with its history, and when German-Israeli relations are warm and reciprocal. But in Israel, some Holocaust scholars and survivors say Wagner and his family hold a notoriety that does not erode with time. “Hitler saw in him his main inspiration,” says Dina Porat, chief historian at Yad Vashem and head of the Kantor Center for the Study of Contemporary European Jewry at Tel Aviv University. “He even went as far as to [note] the intimacy he felt with him while standing on his grave, [and] that it was Wagner who showed him his way,” she relates to the Report. Halevy saw the opera Tannhäuser in August. Composed in the early 1840s, the opera focuses on the struggle between sacred and profane love. In Bayreuth this summer it is staged in a biogas plant, with the main characters dressed in factory work clothes. Before he flew to Germany, Halevy knew about Wagner’s fans, among them both Hitler and Zionist visionary Theodor Herzl. 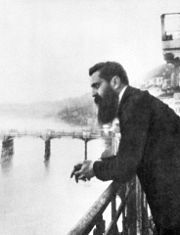 “Herzl would get excited by the music of Tannhäuser while writing Altneuland,” Halevy claims, referring to Herzl’s work that outlines his dream of a Jewish state. After the show, Halevy compares notes with fellow travelers at the Wolffenzacher restaurant, open for more than a century in the city's main square. They sit at a wooden table adorned with a red and white striped tablecloth. The walls are covered with portraits of singers performing Wagner operas. Old copper pots, stuffed deer heads and musical instruments hang above them, and marionettes dangle from the ceiling. The waiters serve tall glasses of thick, Bayreuth-brewed beer. Born in Leipzig in 1813, Wagner was a Romantic composer who dreamed big. His most epic creation was The Ring of the Nibelung, a 15-hour work to be played in four separate performances known as the Ring Cycle. Wagner not only composed his music and wrote his librettos – he also launched a global following. With support from King Ludwig II of Bavaria, Wagner designed a brick and wood opera house especially to host his works in Bayreuth. Since 1876, this Festspielhaus (festival house) has hosted Wagner’s music festival. He drew interest in his festival by sponsoring Wagner societies across Europe. Today there are 135 societies worldwide with more than 23,000 members, as well as a newspaper. It is this dedicated fan base that adds extra appeal to being a Wagnerite. Some travel the world to see different performances of the Ring Cycle, others wait years for tickets to the Festspiele. In Bayreuth, Wagnerites attend the opera in fine evening wear, while rubbing shoulders with Bavarian fans wearing traditional lederhosen and suspenders. Halevy, for his part, says going to Bayreuth was a decade-long dream. All the same, some of it did not live up to his expectations. The first time he saw Wagner’s Ring Cycle in Chicago, he says, “I felt electricity in the air.” By contrast, when he saw Tristan and Isolde in Bayreuth, he was disappointed because the orchestra was hidden beneath the stage. This year, Halevy and the other Wagnerites visiting the Festspielhaus were greeted by something new: an exhibit on the Jewish musicians who lost their careers and sometimes their lives because of anti- Semitism in Bayreuth and greater Europe. German historian Hannes Heer curated the two-part Silenced Voices exhibit, which stood outside the Festspielhaus and at the Bayreuth city hall all summer. Heer says there were 31 Jewish musicians who were considered but rejected from posts in Bayreuth because of their religion, in the years before the Nazi rise to power. A further 43 lost their positions after 1933, including 12 who perished at the hands of the Nazis. Heer set up his exhibit as tall panels surrounding a copper bust of Wagner in a garden in front of the Festspielhaus. “The idea was that Richard Wagner must be confronted with the result of his anti- Semitic ideology,” Heer says. 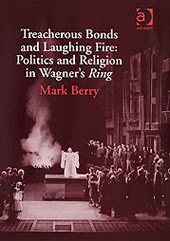 The root of Wagner’s infamy is in an essay he penned in 1850 called “Judaism in Music.” He claimed that Jewish musicians created superficial work because they could not connect deeply to the German spirit. But despite his writings, Wagner had Jewish friends and colleagues. A German Jewish musician and son of a rabbi, Hermann Levi, conducted the opening performance of Wagner’s Parsifal opera in Bayreuth in 1882. Wagner’s family held to a more virulent anti-Semitism. His widow Cosima purged Jewish musicians from opera performances in Bayreuth long before Hitler rose to power. Wagner’s son and daughter-in-law were on close, familiar terms with the Nazi dictator. Hitler had a special seat reserved in the Festspielhaus. He saw in Wagner’s music the embodiment of the German spirit, and he played it at Nazi rallies.